The World Cup is here! Let’s go with Vivaldi! Here are four Vivaldi features that will get you hooked to your favorite sport. May the FIFA World Cup 2018 begin now! Over the next four weeks, we’ll be drowning in news, live streams and social media updates from the FIFA World Cup 2018. Vivaldi has the answers! If you’re anything like us, you probably have quite a few football-related tabs open at any one time. You can save these tabs as a “session” and later open them with one click, even after closing and re-opening Vivaldi. Simply select “Save Open Tabs as Session” from the “File” menu and choose a name for your session. To open a saved session, click “File” > “Open Saved Sessions”. While browsing football-related websites, you may want to view two or more side by side or watch your favorite sport while doing other tasks. You can do this with Vivaldi by displaying tabs next to each other or in a grid layout. Just hold down the Ctrl key (Cmd on Mac) and click on a few tabs. Then choose from a number of layouts from the Status Bar (bottom right of the browser). You can also create a split screen view by right-clicking a Tab Stack and then selecting Tile Tab Stack from the context menu. Speaking of Tab Stacks, if you end up with a few dozen sports tabs open, you might want to stack them! With Tab Stacks, you can reduce the number of separate tabs on the tab bar. Simply drag one tab over another until it becomes darker, and drop it. Do you need a place where you can dock news sites, social media apps, or messenger apps and view them alongside your usual open tabs? 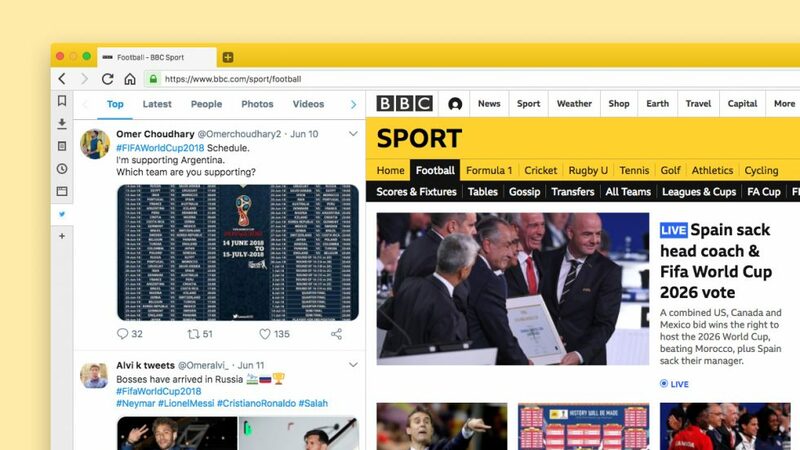 For the duration of the World Cup, you can turn Vivaldi Web Panels into a football hub and keep an eye on the action as it unfolds. Add your favorite sports and football-related websites, Twitter feeds or messenger apps. To add a Web Panel, click the [+] button on the sidebar and add the currently active page as a new Web Panel, or type in a different URL. You can move panels around until you get them in perfect order. You can also adjust the width of the panel to your liking. Web Panels use the mobile version of a website by default but you can easily switch to the desktop version if that’s your preference (right-click on the Web Panel and select “Show desktop version”). Do you need a space where you can jot down the schedules of your favourite teams? Vivaldi’s Notes is the perfect place for this. Scribble down in the left-hand column while you research the Web, add screenshots of useful sites, or capture selected areas of text. In Notes, you can also quickly format text by adding headers, bolding and bulleted lists while surfing the web. 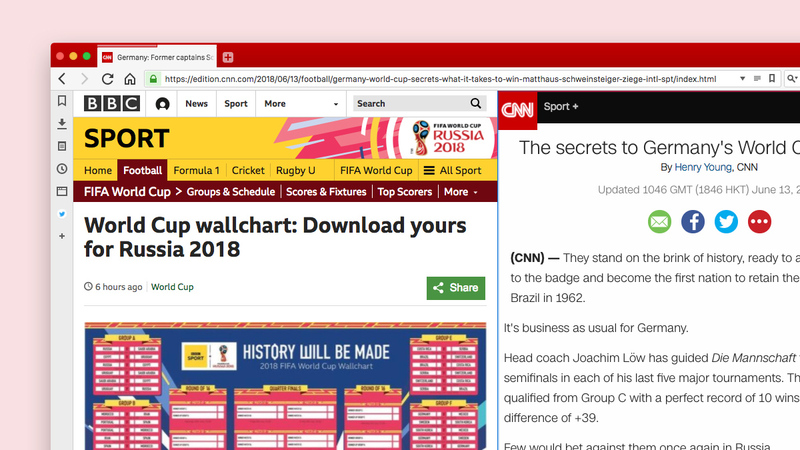 What features of Vivaldi will you use during the FIFA World Cup 2018? Let us know in the comments! 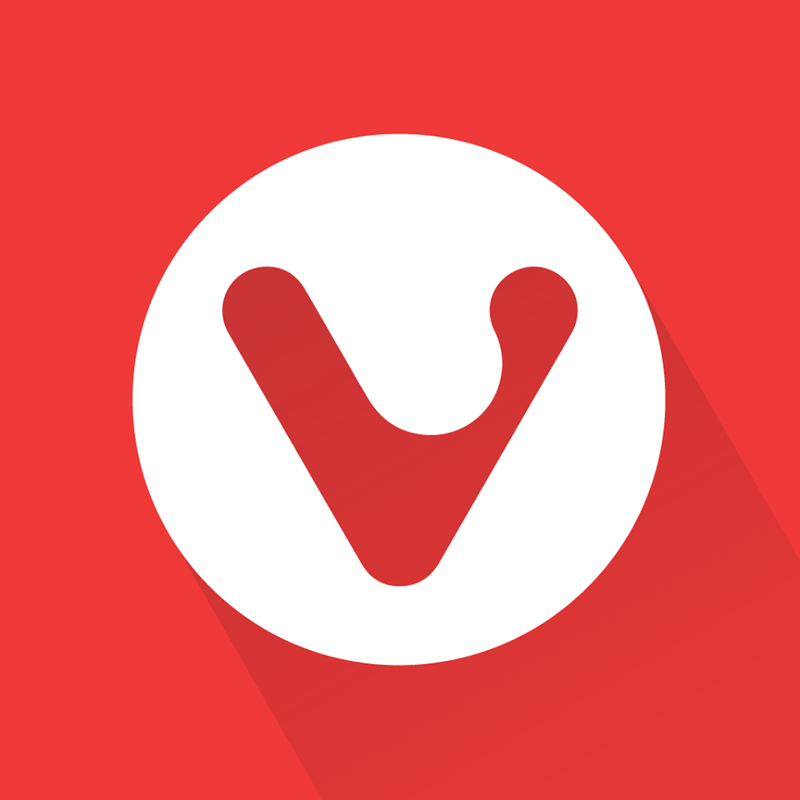 And don’t forget to enter our competition “Vivaldi themes for your favorite teams” to win some cool Vivaldi swag.